Identified predictors of ED attendance and post-ED hospitalization could guide the optimization of outpatient IBD care. Background: To describe the patterns and predictors of emergency department (ED) attendance and post-ED hospitalization by persons with inflammatory bowel disease (IBD). Methods: We linked the University of Manitoba IBD Epidemiology Database with the Emergency Department Information System of the Winnipeg Regional Health Authority to determine the rates of presentation to the ED by persons with IBD from January 01, 2009 to March 31, 2012. Incident cases were diagnosed during the study period and all others were considered prevalent cases. Multivariate logistic regression was used to determine predictors of attendance in the ED and for hospitalization within 2 days of ED attendance. Results: The study population included 300 incident and 3394 prevalent IBD cases, of whom 76% and 49%, respectively, attended the ED at least once during the study period. Incident cases with Crohn's disease or with a history of opioid use were more likely to attend the ED. 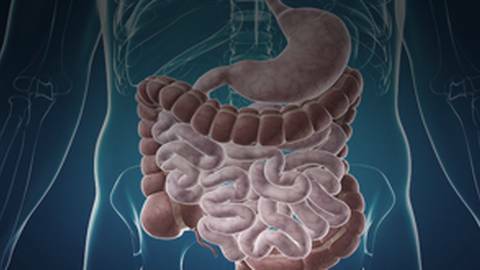 Those who had seen a gastroenterologist within the year before diagnosis were less likely to visit the ED. Among prevalent cases, higher comorbidity, opioid or corticosteroid use, and recent hospital admission were predictive of ED attendance and those who saw only 1 physician in the preceding year had lower ED attendance. Presenting to the ED with a primary gastrointestinal complaint was the strongest predictor of subsequent hospital admission. Conclusions: ED attendance by both incident and prevalent cases of IBD is high. Identified predictors of ED attendance and post-ED hospitalization could guide the optimization of outpatient IBD care to limit ED attendance and potentially post-ED hospitalization. 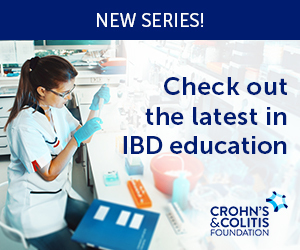 Dr. Shannon Chang, gastroenterologist at New York University Langone Medical Center and a member of Crohn’s & Colitis Foundation’s Rising Educators, Academics, and Clinicians Helping IBD group, or REACH-IBD.